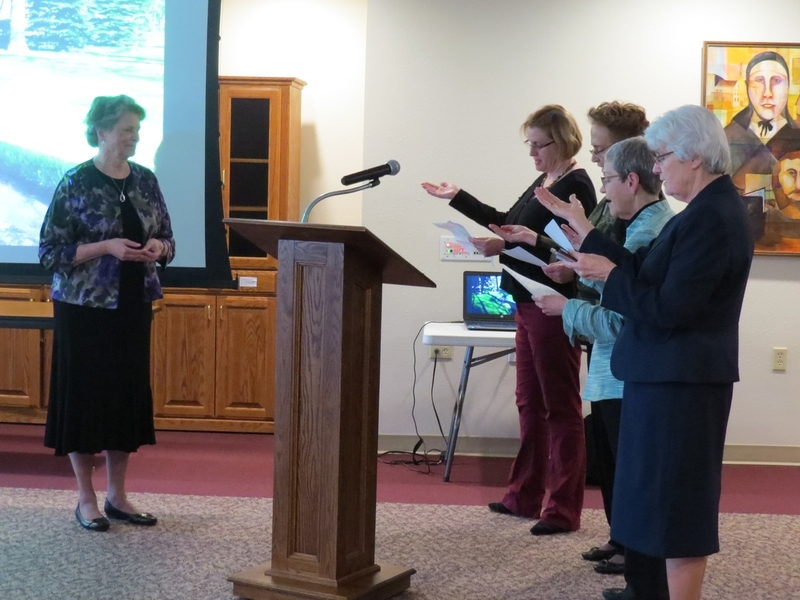 Fond du Lac, WI –The Sisters and Associates of St. Agnes invite the public to join them in prayer for the healing and protection of Earth on April 22 from 6:30-8 PM at the chapel of the Sisters of St. Agnes Motherhouse, 320 County Road K, Fond du Lac, WI. 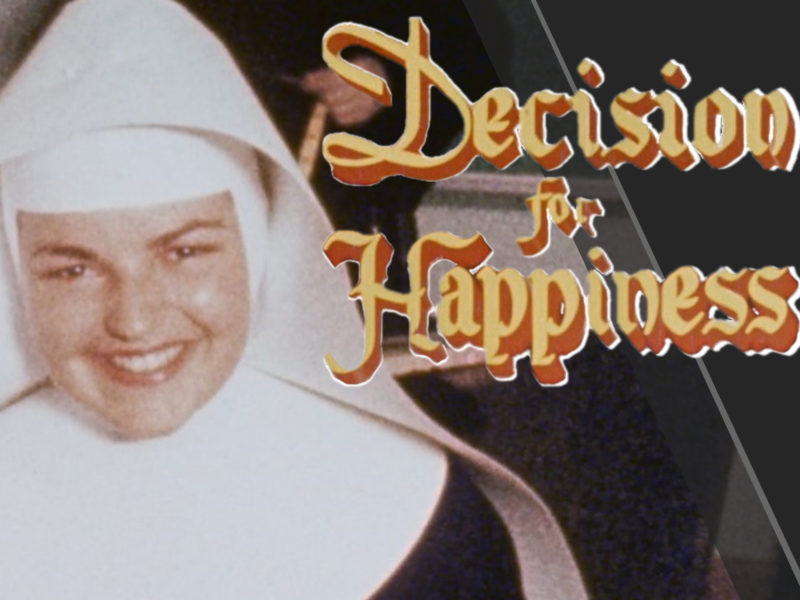 “The gift that religious women have to offer the world is contemplative mindfulness. Its goal is not so much to change the world as it is to change our inner worlds and then, from that center, to make a difference in the outer world. Contemplation slows us down, puts us in touch with ourselves, and allows us to experience our oneness with the divine and with creation. It gentles us and softens our footsteps on Earth,” said Sister Ruth Battaglia, Coordinator for Justice, Peace and Integrity of Creation for the Congregation of Sisters of St. Agnes. The sacred time will begin with common prayer in the chapel followed by silent prayer and will conclude in chapel with Pope Francis’ Prayer for Our Earth. 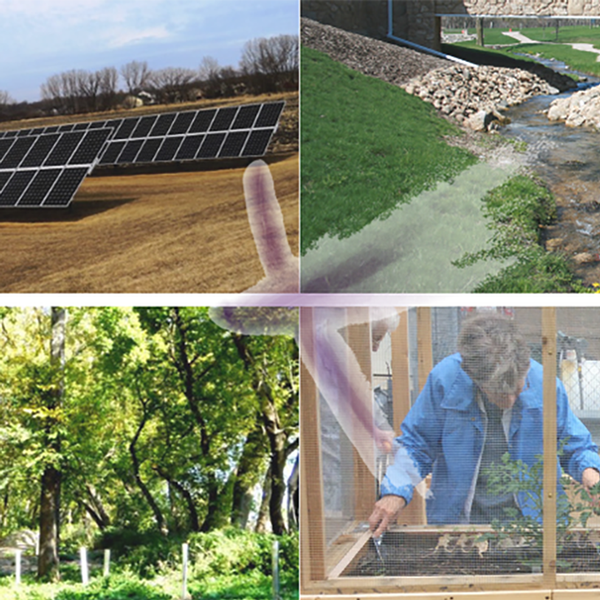 Guests are invited to walk the labyrinth, pray with nature, and visit the solar panels, or remain in chapel. Guides for navigating the grounds and for prayer will be available. Attendees may stay the entire time or come and go they are able. A reverent silence will be observed during the event. The Earth Day Contemplative Prayer event is in addition to the monthly contemplative prayer event already scheduled for April 28 from 6-7 PM. The public is welcome to attend both prayer days. 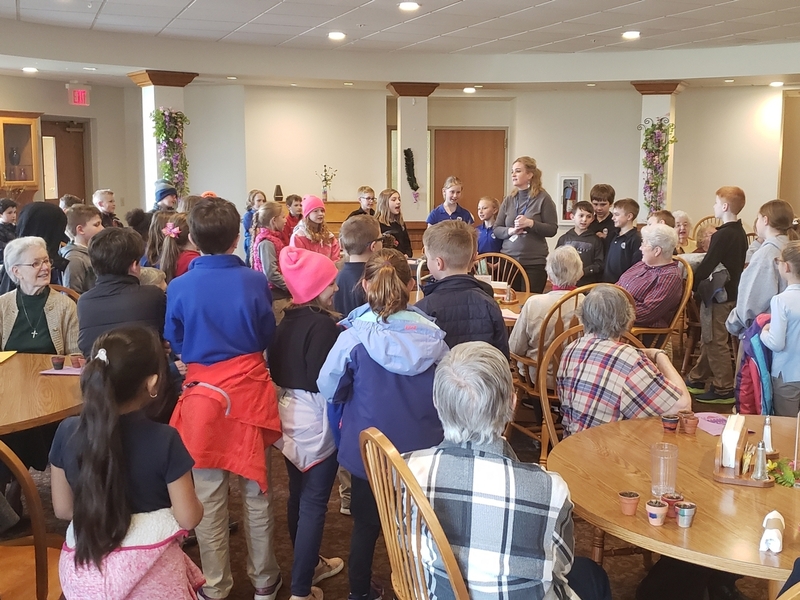 Third grade students from St. Mary’s Springs Academy came to visit the convent dining room to offer a special Easter song, potted plants, and cards to the sisters. They were met with smiles and conversation and brought joy to the motherhouse. 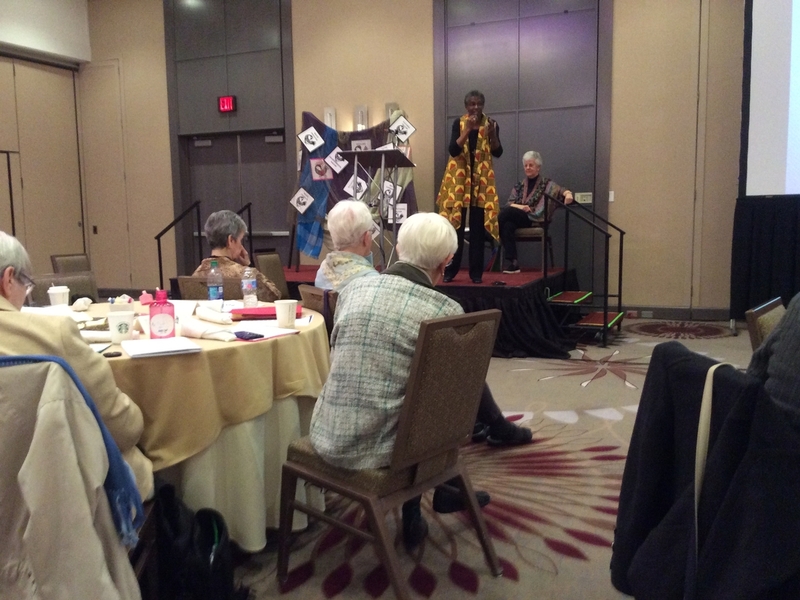 Participants at the recent convocation of the Justice Conference of Women Religious in St. Louis were invited to examine the roots of systemic racism and explore the difficult work of purging themselves, their communities, and their country of the sin of racism and its destructive effects. Sisters of Notre Dame de Namur Patricia Chappell and Anne-Louise Nadeau were the keynote speakers at the convocation. Both are presenters and workshop leaders specializing in anti-racism work. Sister Patricia serves as Executive Director and Sister Anne-Louise as Program Director of Pax Christi USA. Sister Ruth Battaglia, CSA, attended on behalf of the Congregation of Sisters of St. Agnes and met others from the LCWR 9 Legislative Network (WI) who attended, from left to right: Sisters Reg McKillip, Ruth Battaglia, CSA, Dusty Farnan, Dorothy Pagosa, and Tim Dewane. Sister Ruth Battaglia, Justice Coordinator for the Sisters of St. Agnes, was recently quoted in an article about Fond du Lac's Care INC, a program designed to empower and assist people so they aren’t pulled into the cycle of poverty. Care INC is a network of 300 individuals who work together to ensure timely support for individuals who find themselves in temporary crisis situations. The program is funded in part by a CSA Acts Grant.